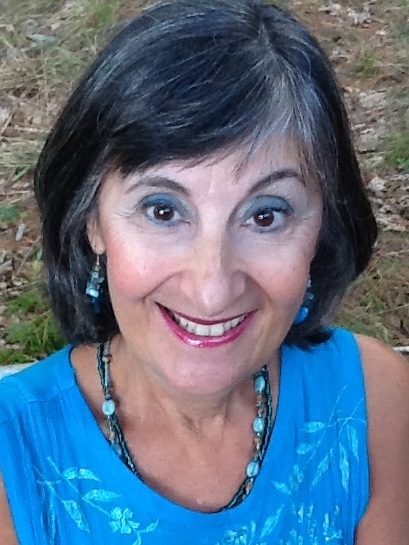 Today I am happy to have Gayle C. Krause as a guest on my blog. 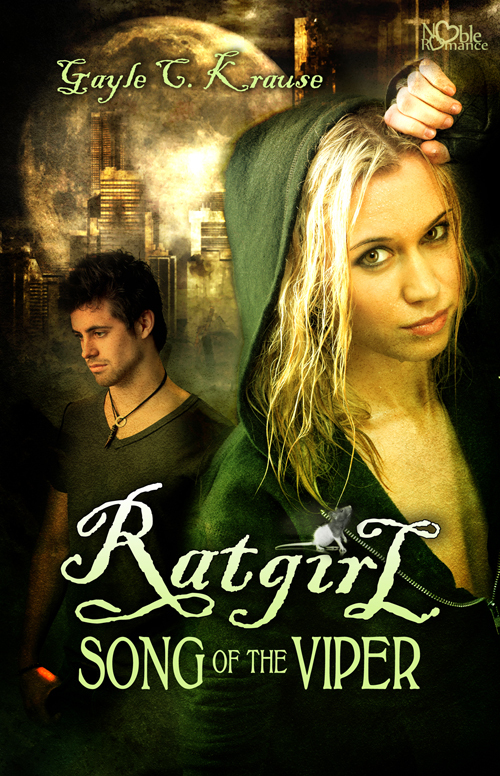 Her debut YA novel, RATGIRL: Song of the Viper, will be released this month! How exciting! Want to know something else exciting…you can win a free picture book critique. Details to follow. Although RATGIRL is YA, Gayle is more than qualified to critique picture books as she has a successful, published picture book. I own Gayle’s picture book, ROCK STAR SANTA, and it is one you will want to read again and again. I have seen more than a taste of Gayle’s creativity and talent as we are both in The Poets’ Garage, a children’s poetry critique group. Read on to learn more about RATGIRL, and two lies and a truth about Gayle herself. Take it away Gayle. Penny has mentioned that most of you are picture book enthusiasts and she has asked me to tailor my post to your interest. I think I can do that, as my first published book was a picture book. It’s titled ROCK STAR SANTA. A rhyming seasonal story, it was contracted as an original Scholastic Book Club selection in 2008 and has gone on to be a perennial favorite, selling over 139,000 copies to date. This urban fantasy is filled with betrayal, revenge and hope. Part thriller, part mystery, part love story, it has something for every reader. Streetwise orphan, Jax Stone, is an expert at surviving in a dangerous city, where the rich have fled to the New Continent, and the deadly daytime sun forces the middle class to live in abandoned sewer tunnels and subway stations. But she and the other homeless must be wary of rats —the furry ones underground that steal their food and invade their shelter, and the human ones above ground, that steal their children and threaten their lives. When the tyrannical mayor kidnaps her little brother, it’s no coincidence. Jax must use every bit of her stamina and intelligence to get him back. Since family plays a key role in this story, I thought I might concentrate on the original lullaby that Jax sings to Andy every night. It’s crucial in his rescue ,and it could also be found in a children’s picture book. Close your sleepy eyes. Come rest your weary head. You will be safe in your comfy, cozy bed. and know by my love that I always will be there. These words are crucial to the story, because when Andy is kidnapped Jax was not there. She didn’t lie to him. She was doing what she always does, scavenging for trinkets or valuables to barter, or foraging for food to feed him. But she fears he might think she did. Which leads me to Two Truths and a Lie. I’m going to list three situations, as related to RATGIRL, and you must guess which one is the lie. Those of you that get it correct will be placed in a drawing for a free picture book critique from First Peek Critique my critique service. — Like Jax, I have smashed rats with cinderblocks. –I have eaten acorn bread and rabbit cooked in a homemade solar oven. #3 “Even though the sun blasts the mountain outside, inside the dampness of the ancient cavern is unmistakable.The sun’s warmth must never touch this cave. The pathway narrows, as the rock face falls off to the left. I run my fingers along the moist earthen wall to guide me. — I have crawled through a dark tunnel, far beneath the earth, feeling my way along a rock wall, precariously dangling on a steep cliff within a mountainside, with only my sense of touch to guide me. Synopsis: A dark, gritty retelling of The Pied Piper set in a dystopic future, where a girl uses her hypnotic singing voice to lure rats to their deaths and children to safety. An urban fantasy filled with betrayal, revenge and hope, it’s part thriller, part mystery, and part love story. Leave your answer in a comment below by midnight (CST), this Monday, February 25. Correct answers will be included in the drawing for a free picture book critique from Gayle. 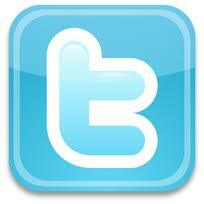 You can find Gayle HERE at her website, and HERE, The Storyteller’s Scroll, where she blogs. Be sure to continue on Gayle’s blog tour or even play a little catch up if you have missed the previous posts. Here is her schedule. Laura Weller – Hey Writers, It pays off! This entry was posted in Picture Books and tagged Gayle Krause, Giveaway. Bookmark the permalink. Before I announce the winner…Exciting news!!! RATGIRL is now available from Amazon in paperback or Kindle. And yes, I have killed a rat with a cinder block when I was 10. And yes, I was stupid enough to go spelunking in my twenties, swallowed up by the dark mountainside and 12″ from a cliff feeling my way with my hands and feet. STUPID!!!!! And….Wendy Greenley’s name was drawn from commenters who guessed correctly! Wendy, please email me with your email information, and I will pass it on to Gayle. Congratulations on winning a picture book critique! I hope this contest is still open. Got a link for it off of the 12 by 12 Facebook page. It’s still before midnight PST but maybe you are going by midnight your time. Either way the first one is a lie. I could say why, but I don’t want to ruin it in case more people enter. I’ll have to look for Rock Star Santa. Just the title sounds like fun! I think the lie is #3. I’m thinking #1 is the lie, but hey whatever you need to do for research is okay in my book! Ha! I’ve got you all guessing. That’s a good thing. Trying to guess which is the lie is great fun! And now, this isn’t a lie :)……………RATGIRL:Song of the Viper went on sale today in the Kindle store at Amazon. The paperback will be available within a few days. Will contact Penny with the real lie soon! Thanks for playing. Just to let you all know,I’m in the dark, too. I have no idea what is truth and what is a lie!!! I really appreciate all of you popping in today to hear about RATGIRL, and to take a stab at which is the lie! I’ve read Rock Star Santa and it’s a wonderful Christmas book. Like that you’ve done both PB and YA. Your new book is intriguing. Based on the story, Jax is trying to find that Rat Mayor who stole her brother. So, I think the lie is #1. Gotta take a guess. I’m going against my instincts and saying #2. Fingers crossed. I like the idea of a modern/futuristic retelling of the Pied Piper tale! The story sounds amazing. I love the synopsis too — it definitely leaves me wanting to know more. I guess #3. I’m guessing #3 is the lie. Would love to hear more about the Poet’s Garage sometime! Wow, like the sound of the PB AND the YA! I think #1 is the lie. I think #1 is the lie– “Like Jax, I have smashed rats with cinderblocks.” Great post… thank you!